My hair is a lot like my skin, confused and combined. It's either too dry or too greasy but an occurring problem are tangles! Probably down to my curls and even though I'm lucky that when my hair is wet & gathered gathered , it stretches out to a wave to an almost straight pattern to give me an easier time to run the wide tooth comb throughout my hair but once it starts to dry, the curls form and scrunch upwards, the tangles appear and I'm all of a sudden tender headed. 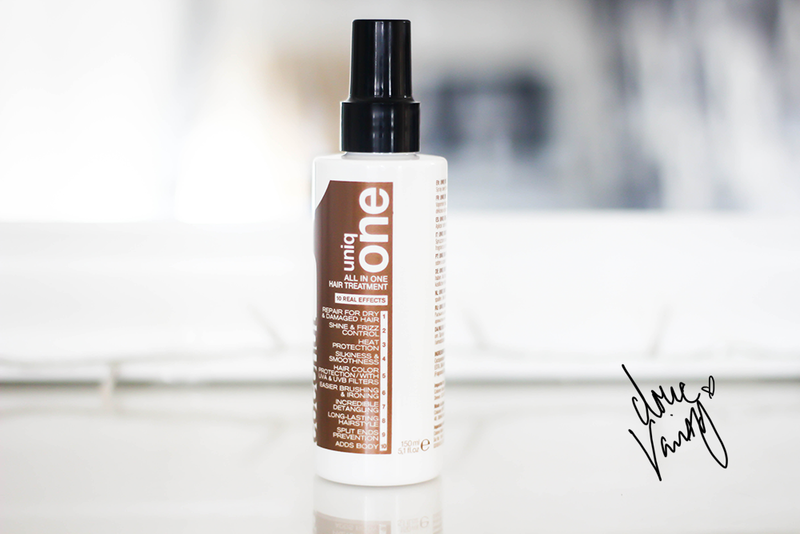 Uniq One All in One Hair Treatment can be used on dry & wet hair with 10 effects that it targets & helps. Wet hair : Apply at a 20cm distance from the hair & use 6-8 sprays in short hair, 7-12 in medium hair and 10-15 in long hair, then comb through. Dry hair : Apply on the palm of your hand. Use 2-3 sprays in short hair, 3-5 in medium hair and 4-6 in long hair. Apply an appropriate amount of product to the palm of the hand and distribute over the hair from half-length down to the ends. Reading the ingredients the first two ingredients are Aqua (Water) (Eau),lCetearyl Alcohol - which is a fatty (ok) alcohol. This alcohol is actually derived from coconut & palm oils and is a very soft & moisturising ingredient. Yet it contains Isopropyl alcohol which is a 'short chain' meaning it has very few carbon backbones and I have read isn't a good alcohol for our type of hair as it can be very drying and actually dissolve our natural hair oils. I haven't found anything to be too drying for my hair but I don't need to detangle each day. I've been using my other purchased leave in conditioner as I do prefer this as an every other day detangler or when need be. Price ranges from £10 - £14 depending on where you purchase it. 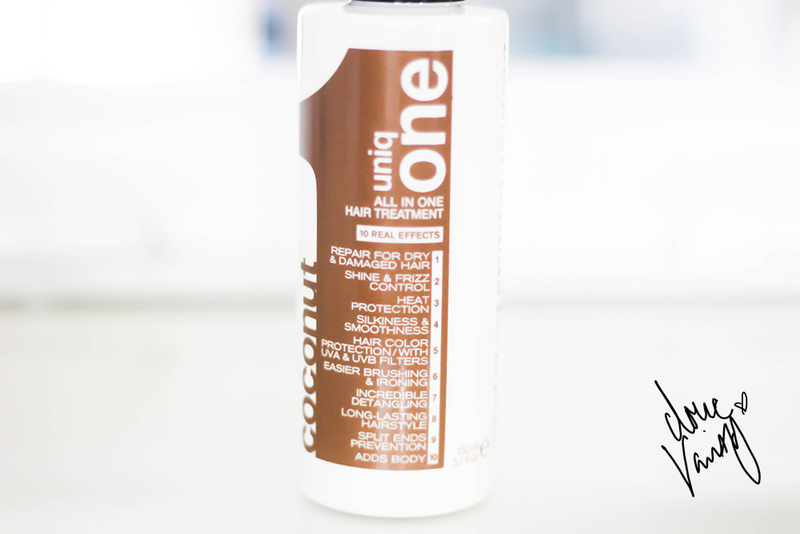 Have you tried anything from Uniq One or Share with me your favourite leave-in/detangler! Use argan oil hair mask from the brand Pro Naturals is pretty awesome. It's a big tub and you use it once or twice a week. Probably twice for your hair if it's that damaged. Or get anything from that hair care line, all of their stuff is made for dry, damaged hair. It all helps.